Female economic migrants in these countries are highly exposed for insecure conditions due to various reasons. However, the female domestic workers trafficking or modern slavery is currently at increasing rate and in relative speaking their insecurity at their destination has also highly increasing and beyond one can imagine. Managing this highest domestic workers trafficking has become a challenge to the government. The question is why migrant female domestic workers in the GCC countries are highly exposed for insecure conditions. This article tries to address the major social and political causes for vulnerability and insecurity of the female domestic workers in the GCC countries. The recent unsuccessful story in Ethiopia has related with the highest influx of economic migrants to the Gulf Cooperation Council countries (GCC). The Gulf Cooperation Council countries comprise Kuwait, Saudi Arabia, the UAE, Qatar, Oman and Bahrain. Female economic migrants in these countries are highly exposed for insecure conditions due to various reasons. However, the female domestic workers trafficking or modern slavery is currently at increasing rate and in relative speaking their insecurity at their destination has also highly increasing and beyond one can imagine. Managing this highest domestic workers trafficking has become a challenge to the government. The question is why migrant female domestic workers in the GCC countries are highly exposed for insecure conditions. This article tries to address the major social and political causes for vulnerability and insecurity of the female domestic workers in the GCC countries. Often the highest female domestic workers trafficking to the GCC countries have considered as a manifestation of the source courtiers economic conditions. However, basically the numbers of increasing unemployment at the source countries and the economic status at the destination countries have greater contribution in pushing and pulling the economic migrants. Increased oil income as a major source of government revenue and the small population size made the GCC country’s resource distribution fair. The result of good household income stats encouraged demand for female domestic workers in the GCC countries. This is because the oil income transformed the destination Gulf Cooperation Council countries (GCC) within a short period of time into richest countries. The GCC countries governments have obligated themselves with distributing the oil revenue for their citizens. A major tool for distributing the oil income to the indigenous populations is through public sector employment with high salaries and luxury working conditions. The good income status at household level made the demand for cheap domestic lebour very high in the GCC countries. The other pulling factor is tax free system in all GCC countries. The citizens have no obligation of paying any tax under the sun of GCC states. In these countries the major task of the government is the creation of a dual labor market for nationals exclusively in the public sector than taxing citizens. Taxing citizens is not acceptable in GCC courtiers due to Islamic law. As the result in the GCC countries employment opportunities categorized into two. The first one is public sector and the other is private sector. The public sector is solely left for indigenous citizens. People working in the public sector are free from any kind of taxations. The private sector including domestic work has left for the vast majority of the migrant workers. Like the employment categories for indigenous and migrants the public and private sectors governed by two different polices. The private sector is governed by Kalafa “sponsorship” system. This law governs all migrant labour. The migrant labour policy in GCC countries guarantees the Kalafa “sponsorship” system much freedom. According to the GCC country law the Kafala is a person who would sponsor migrant worker and has right to allow an economic migrant to enter into the country. The Kalafa system provides absolute right to the sponsor and employer in determining salaries, living conditions, nutrition, to work elsewhere and even the ability of migrant workers to return to their home country. Whereas the indigenous people are governed by labour polices. The Kalafa system and labour policy are two diverging labour polices in the GCC countries. The paradox is that the vast majority of migrant workers particularly the domestic workers from Ethiopia and Asian countries entered in to the GCC countries through Kalafa system earn extremely low salaries. This is due to the Kalafa system gives a private employer an absolute right to determine the fate of domestic workers. On the other hand due to their low skill status and lack of the right to negotiate on the amount of salary they would earn. If one look into the history of domestic workers wage in the GCC countries. Prior to the entry of migrant domestic workers in the GCC countries, domestic work is performed by poorer men or women (girl) within the same country. Unlike the current misery of domestic workers in this country they are less venerable and this is because of their family member or father will have chance to visit them once a year. This would be regarded as an act of safeguard and gives an opportunity to collect her or his wages. Furthermore, they have had a shared culture with an understanding between the employer and the employee. This honorary enforced a certain sense of responsibility on the part of the employ family. However, after 1973 the influx of migrant domestic worker from Africa and Asia to the GCC countries has been accompanied by different challenges. This is due to migrant domestic workers having come to a country from remote areas and none of the migrant family has access to visit them. Furthermore, most of migrant domestic workers have different cultures, languages and religious backgrounds. For instance most Ethiopians are Christian by religion and Asians are Buddhist but as economic migrant obey Muslim culture in their destination countries. Some argue that domestic workers in the GCC courtiers have no rights and are virtual prisoner or earn money at the expense of their humanity. The paradox is that still there is higher trafficking of domestic workers to these countries. To look into the causes for human insecurity in the GCC countries it is important to begin by addressing factors contributing for human trafficking in the source countries. In the case of Ethiopia, victims of trafficking have considered it as a strategy to alleviate unemployment and partially to generate foreign income so as to balance income inequality. The second reason goes with misunderstanding of the scenario and dreaming better income in the GCC and considering the challenges in the GCC countries as a sign “Hero girls” pay for the better future. In this regard a parent has greater role in directing, encouraging or facilitating their family member to do so. A parent’s disinformation and misinformation is the other major causes for female domestic workers insecurity at the destination countries. This is the result of inaccurate portrays of the destination country by labour recruiters or human traffickers. These misinformation and disinformation have been widely distributed throughout the migration system. Women domestic worker recruiters or traffickers in Ethiopia often have poor information about the positions they purvey and the conditions unskilled domestic workers face in the destination. Even when some brokers or recruiters have good information about the reality in the destination they direct attention away from the common challenges and difficulties low skilled domestic workers face on their arrival. This is because the traffickers earn large amounts of money by trafficking domestic workers to the GCC countries. 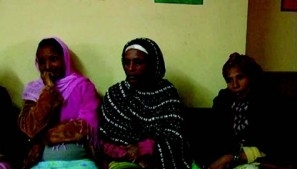 According to the information from the Ministry of Labour and Social Affairs of Federal Democratic Republic of Ethiopia domestic worker recruiter or trafficker earns on average 3,000 to 5,000 birr per person. On the other hand, at the destination the Kafala “sponsors” or manpower recruiting agencies in conjunction with the local sponsors of migrant labour often conspire in the systemic deception. The migrant domestic workers themselves play significant role in maintaining the image of the GCC countries as a place of extraordinary possibilities and mask their situation by steady flow of remittances often some by borrowing substantial sum from their migrant’s fellows to cover the fee already they paid for the traffickers before they live their village. Furthermore, increasing demand for cheap and unskilled workers in the destination country is the other pulling factor. However, the suffering of domestic workers in the GCC countries is beyond what we can imagine. The following testimony gives an idea of the hardship relatively faced by the domestic workers. Even if I worked without a salary, it did not guarantee that I would not be beaten. That is why I escaped. All the doors were locked so there was no way out, the windows had iron bars, but there was a hole for ventilation in the bathroom from which I escaped. Before I escaped, I prayed and asked Allah for help although my body was very dirty since she did not allow me to take a bath for a month. I prayed,” Mina S., Indonesian domestic worker, Riyadh, Saudi Arabia – Human Rights Watch report, 2008. To enter into GCC countries as a migrant domestic worker is often allowed, managed and controlled by the Kafala (Sponsors). The Kafala system also provides the right to regulate labor flows in and out of the country and the sponsors provide the two years of work permit for the domestic workers. With the will of the sponsors once the domestic workers land at the destination country soon after where freedom of movement will be strictly controlled and limited by the physical surroundings and by Arab/Islamic behavior codes. Furthermore, she will be locked in the apartments till she finds an employer and will be denied access to key and are usually forbidden to leave without expressed permission. The Kafala system warrants the employers or sponsors generally keep the worker’s passport and identification papers, rendering them immobile and vulnerable to arrest by authorities. After she finds the work as a domestic worker she will face the unique problem. As being a domestic worker she would unable to access support, networks, receive or send letters, or even the Muslims to worship accordingly. It is a rare case that the workers may be allowed to go outside, visit friends, or just go for a walk. In the GCC countries the Kafala system has created a unique situation in which nationals could earn money strictly by virtue of their nationality. This grants permission right to the Kafala on the foreigners entrance into the country, monitor their stay and approving their exit. Since the Kafala is responsible for all aspects of foreigners issue say if Kafala withdraws sponsorship the foreigner has no legal right to stay in the country. There are different factors contributes for withdrawal of sponsorship. Among others the dispute are over wages, accommodations, working conditions or other work related issues. These all cases are related with human rights but do not concern the sponsors. Migrant domestic worker who’s sponsor has withdrawn will considered as illegal and will be imprisoned and face ill treatment. In this case there will be no room for negotiation with sponsors or employer and a domestic worker will find herself in custody. The system by itself is open for corruption and the victim will have no chance to defend herself due to different reasons. Among others many kafalas are only nominally involved in the employment of the domestic workers in their sponsorship. They allow their names to be used to sponsor foreigners in exchange for payments from employers, recruiters or others. The domestic workers who enter the country through sponsors never meet their sponsors directly and do not know who their sponsor is. Rather everything handled only through intermediaries who may be nationals of their country of citizenship. The other problem the female domestic workers face at their destination is sexual violence. This is because at their arrival they would keep in confined apartments till they find employer. Even after they find an employer their victim by male employers, as well as by other male members of the household or staff will be very high and this is because the sponsorship system in the GCC countries does not allowed female domestic workers to have communication with others or blaming whatever problem she may face. With no telephone access, control over correspondence and social isolation from other domestic workers or friends, female domestic workers are rarely able to escape or seek help when needed. Because of these all serious sufferings if one female domestic worker may run away it will consider as one of big illegal act and result in punishment. Labour laws in the GCC countries have major limitations in addressing migrant female domestic workers. In most GCC countries the labour laws generally do not cover female domestic workers and according to the law they are not considered as employees. The relationship between the domestic worker and employer is not addressed in GCC countries national legislation and the law totally denying them the status of “real workers” entitled by ILO convention. According to GCC country labour law households in which domestic workers are involved not considered as a workplace and they work for private persons who are not considered as employer. Due to the gap in the labour law migrant female domestic workers in the GCC countries are vulnerable for exploitation of their rights and labour. Among others the majority of domestic workers endures a range of abuses including non-payment of salaries, forced confinement, food deprivation, excessive workload, and instances of severe psychological, physical, and sexual abuse. For instance the Saudi Labor Law, amended through Royal Decree No. M/51 on September 27, 2005, excludes all domestic workers, denying them protections guaranteed to other workers, such as a day off once a week, limits on working hours. The new Saudi Arabia’s restrictive Kafala (sponsorship) system also fuels exploitation and abuse. Under this system, an employer assumes the responsibility for a hired migrant worker and must grant explicit permission before the worker can enter Saudi Arabia or leave the country. The Kafala system gives the employer immense control over the worker and it is not allowed for a domestic worker even to run away from abusive conditions or to return home upon completion of their contracts. This means the employers have the right to permit a domestic worker to leave the country. Abebe Aynete is a researcher on Peace and Conflict. Can be reached at aaynete@gmail.com.